The latest piece of news that has come out is Rotary Club of Madras would be celebrating its 90th year in 2019 and as a part of the celebrations it would release a book called ‘Timeless Legacy’. It must be noted that this book deals with the clubs history plus it would have all the achievements made by the club in all these years. 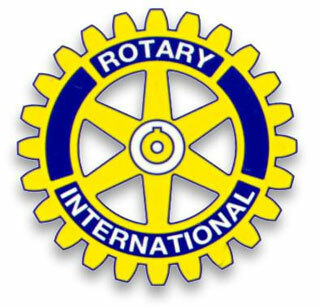 It is known that this club was established in the year 1929 and is the oldest Rotary Club in south India. Point is in the entire India this Rotary Club of Madras is the 3rd oldest club. As per Mr. Ranjit Pratap, who is the president of Rotary Club of Madras, as a part of 75th year celebrations of this club a version of the book was released and it made news. The book that would be released on the 90th year celebration would be an updated version and it would give information regarding the achievements made by the club in the last 15 years of time. Mr. Ranjit Pratap expressed his thoughts regarding several projects that were undertaken by the club. These projects included providing shelter and rehabilitation for young children, providing educational support, environmental conservation through go-green projects and sanitation driven projects for the sake of many rural communities. Skill development is very important and the club has been doing its best in skill development and providing vocational training too. He finally spoke about how in the last one year Rotary Club of Madras had played its role in providing sustainable livelihoods to people and imparting skills to them. The important point is on 19th March 2019 popular historian V. Sriram would be delivering his speech at the book launch function. His speech would be about the history of this club plus on the bonding the club has with Chennai city etc.